The aim of the research symposium is to establish a space for conversation and networking for researchers working in the field and to give an overview of ongoing research on building regulation and close related issues, such as guidance and knowledge production connected to building regulation. What are the questions asked? What are the necessary questions to be asked? The aim of the symposium is to establish a space for conversation and networking for researchers working in the field and to give an overview of ongoing research on building regulation and close related issues, such as guidance and knowledge production connected to building regulation. What are the questions asked? What are the necessary questions to be asked?  The symposium in October 2018 will be followed up by a larger conference on building code in spring 2019 that will focus on the Nordic perspective regarding the development of the building code. In 1978 the Nordic Committé for Building Regulation (Nordiska kommittén för byggbestämmelser, NKB) presented a common framework for the Nordic Countries, which is based on a performance-based regulation. The transition from prescriptive based regulation towards performance-based regulation is interesting from a critical architectural history and theoretical perspective and constitutes a challenging and ongoing process that engages also various research communities. It also raises the question what the next step of development for the code might be. This symposium constitutes the first Nordic gathering of researchers focusing on architecture and nordic regulation from both a critical and operative perspective. A critical view of aims, effects and design of performance-based regulation. 14.20 Bjørnar Nørstebø A new role for visualization in knowledge dissemination? Dr Emma Street is Associate Professor of Planning and Urban Governance at the Department of Real Estate and Planning, Henley Business School, University of Reading, U.K.
Anders Kirkhus, is an architect and senior advisor at SINTEF Building and infrastructure in Oslo. Erik Sigge is an architectural historian and preservationist with a PhD in history and theory of architecture (2017) from the School of Architecture, KTH Royal Institute of Technology in Stockholm, Sweden. Helena Mattsson, Professor in Theory and history of Architecture, KTH. Rob Marsh, Architect PAA PhD, Head of Sustainability, C.F. Møller Architects Copenhagen. Marja Lundgren, Architect SAR/MSA, PhD candidate at the School of Architecture, KTH Royal Institute of Technology in Stockholm, Sweden. PhD Candidate AHO 2017-2020 : [SINTEF Byggforsk]. Tim Anstey is an architect and academic, professor Institute of Form, Theory and History. He joined AHO as Chair of PhD Programme in 2013. Michael Hensel is professor at Institute of Architecture, Oslo.